Host a Japanese Exchange Student! 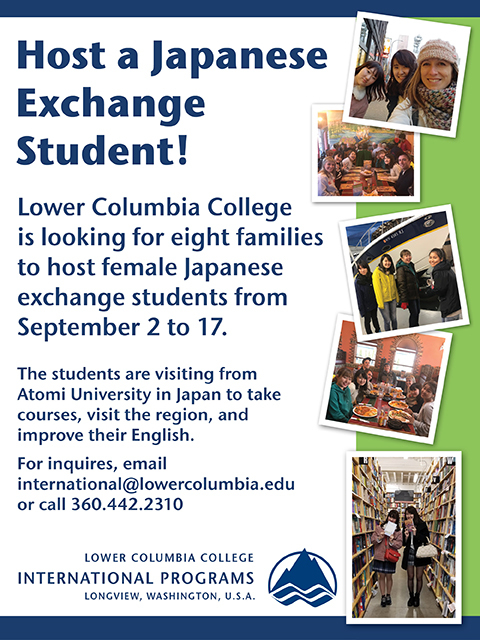 Lower Columbia College is looking for eight families to host female Japanese exchange students from September 2 to 17. The students are visiting from Atomi University in Japan to take courses, visit the region and improve their English.